Clarisonic: Is it worth it? 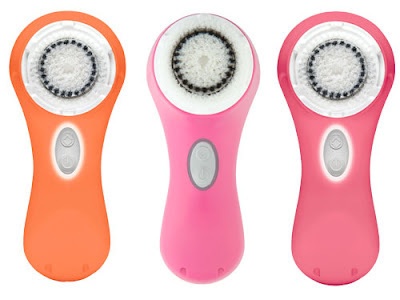 | Fleur d'Elise: Clarisonic: Is it worth it? It's seems like in the world of cosmetics, the more money you spend the better the product and the better your skin will look. This seems to make sense, but is it always true? I've never tried La Mer, but it's such a huge seller, and at $275 per 2 oz pot, I imagine it's doing something! I figured the same must be true for the Clarisonic Care System (which sells like hotcakes despite costing $119), but have never given it a serious thought until SkinCareRX approached me to do a partnership. They wanted me to *gasp* review the Clarisonic. I thought "I can't afford that, what am I gonna do??" but Jillian at SkinCareRX reassured me I wouldn't be required to purchase a system and encouraged me to be creative. I'm not at a point in my life where I can really afford to try it out for myself, but this seemed like a good opportunity to do some "research" and gather opinions from friends who actually own the system. Below, I've compiled a list of Pros and Cons, as well as whether the system was actually "worth it" in the end. As for whether it was really worth it, the consensus was split pretty evenly. One friend loved it and raved about how much it had improved her acne-prone skin. Another friend was rather ambivalent and said "I like it, but I don't need it." Of course, she has naturally great skin, so she doesn't really need anything. The third friend said, had she not gotten her's for free, she probably wouldn't have been happy with her investment, since it made her dry skin more inflamed. It did, however, improve the texture and reduce the appearance of black heads. After taking this all into consideration, I think, if I had the funds, I would definitely give the Clarisonic a try, but I can imagine it would go unused once I ran out of replacement heads. I'm cheap, haha. What about you? Do you own one or would you buy one? I want to know! I own a sigma and its works really well. It truly does help with black heads. you could always try something similar that's cheaper - i've tried an olay version ($30) and it made my skin nice and soft right after use, but it eventually started to over-dry my skin. but you never know, maybe the more expensive one has some more advanced dermatological technology? since, i've switched to the oil cleansing method and haven't looked back! My best friend swears by her Clarisonic. She says she likes how clean her skin feels after using it. I don't think it completely solved her acne issues, though. Sounds more PROS than CONS. Wouldnt mind giving it a shot. No harm at all :) its pricey but u hav to pay a price in exchange of good complexion.